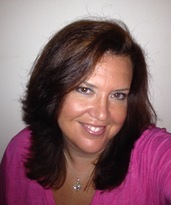 Hello and welcome to our 4th grade classroom's webpage! 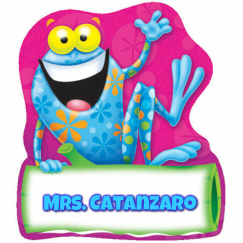 My name is Mrs. Catanzaro and I've been teaching 4th grade for 24 years now in the Bethalto School District. The students designed these themselves. 1. Focus on the speaker and show respect. 2. Use hand signals to show you need something. 3. Treat others the way you would like to be treated. 4. Be the BEST "YOU", you can be! 5. As a team, we will keep our classroom CLEAN! 1. Daily love and praise from your teacher. 3. Participate in Awesome Afternoon for good behavior. (No detentions or habitual problems). 4. Quarterly rewards for meeting PBIS goals. 1. Verbal warning to stop inappropriate behavior. 2. Name on the board-loss of chance card at the end of the week. 3. 1st check-Loss of lunch/afternoon recess. 4. 2nd check-Loss of 2nd recess. 5. 3rd check-After school detention/lose reward of Awesome Afternoon. 6. 4th check-Sent to the office/parent conference. Each week, the students will have a new "text" to read from our Making Meaning textbook. This could come in the form of a story, an informational article, expository text, etc. Every day we work in partners, and do Think, Pair, Share; Turn and Talk, or Think, Pair, Write. On Monday, I introduce the new text, vocabulary words and one of the skills we will be working on for the week. Tuesday we will be rereading the text together in class and we will be practicing the new skill we learned on Monday. We also work with the 3 vocabulary words we learned on Monday. Wednesday we reread the text again and go deeper for a close reading. Also, we work on the 2nd skill for the week and learn 3 new vocabulary words. Thursday we normally engage in a new piece of text in the students workbooks, and practice the skills we've learned this week. We will also review the new words learned on Wednesday. Please encourage your child to read every night, even if its only for a few minutes before bedtime. Thank you!